North East Annual Passes | Which one offers the best value? Buying an annual pass can save you lots of money on days out across the year. I always think they\re a fantastic idea for birthdays or Christmas gifts as they really are the gift that keeps on giving! 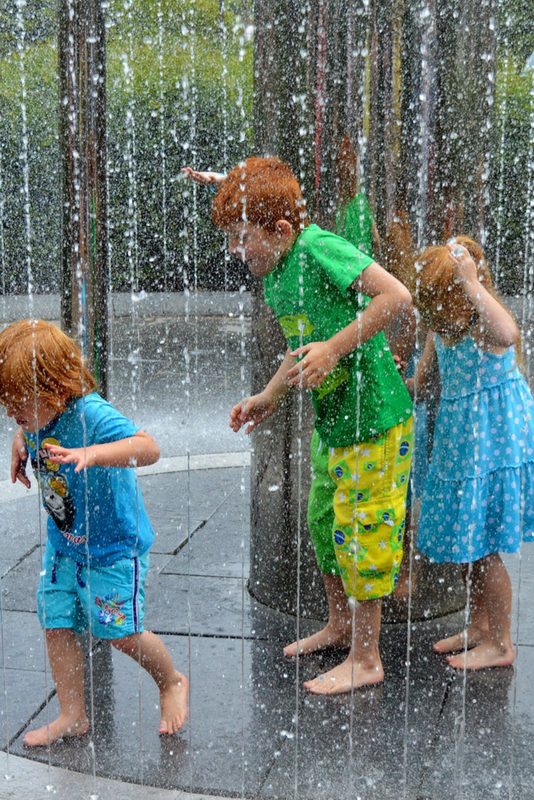 It also means that once you've paid the one-off cost, your day out is free (or super cheap) and it's nice to know you have the option to enjoy a day out when you're skint and need to get the kids out of the house. There are so many annual passes to choose from so I've decided to compare some of the region's favourites and try and figure out which offer the best value for money. I am basing prices on a family of four (including 2 school-aged children) and I'm judging the annual passes on their initial cost, if they're accessible by transport, the saving you'll make if you visit four times across the year and how often they run special events or exhibitions so there's something new for you to see. Prices were checked in January 2018 and are subject to change. Which Annual Passes are the best? After looking at the various deals available, I think the following passes offer excellent investment. 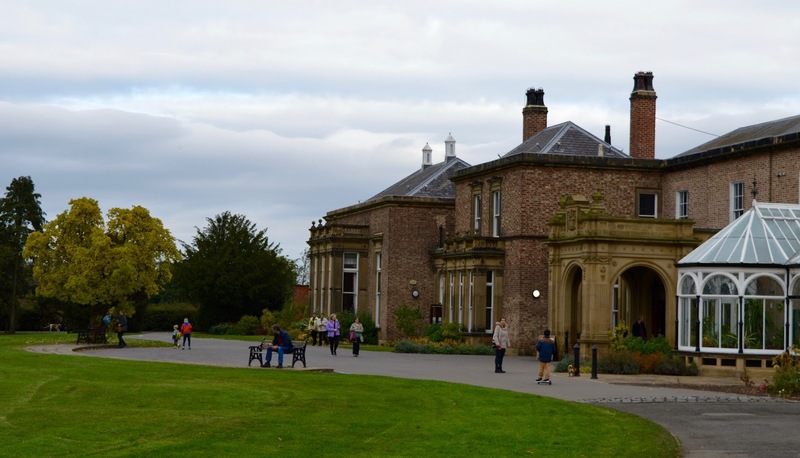 National Trust is a fantastic option as your pass covers so many properties and most provide additional activities and excellent play areas too. You will recoup your money quite quickly if you're a regular visitor. Beamish run a huge variety of seasonal events from harvest festivals, to Christmas, Horses at War and more. If I lived closer I'd definitely invest in an annual pass as there's always something new to see and do. You save quite a bit of £ if you invest in a Life annual pass and I like that this option is a fab rainy day idea. Life is one of the easiest places to get to from all the places I've listed so a fab option if you rely on public transport. Their exhibitions change regularly too. Life is a good option for a variety of ages too. At £5 for a family, you can't beat this annual pass for value. There's always something new to see and do in the school holidays and their events are fantastic too. Woodhorn is also an inexpensive option and I like Woodhorn as it's a great option for both bad weather or sunny days. There are often craft activities and exhibitions are included in the annual pass too. 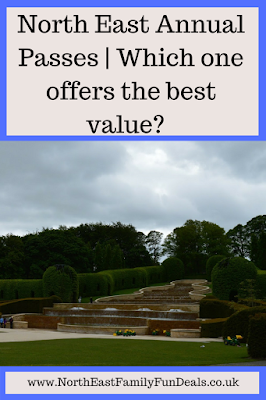 You only need to visit Alnwick Garden twice in the year to recoup your investment and I love that there's an option to take a different named adult too so perfect if you'd like a day out with your friend or grandparents in school holidays. Which Annual Passes would I avoid? Personally, I find £113 to visit the Blue Reef Aquarium to be a crazy amount when compared with somewhere like Beamish which is over half the price. I don't think the Blue Reef Aquarium is enough to keep the family entertained for a full day, nevermind multiple visits throughout the year. The cost of an annual pass for Adventure Valley has shocked me the most. At £240 it's almost 5x the cost of Beamish! I seriously don't know how they can justify that. I have found farm parks to be quite pricey in general and although farms do offer a good day out, they seem very expensive when compared with other annual passes in our region and you tend to need to visit 5-6 times before you start to see a saving. 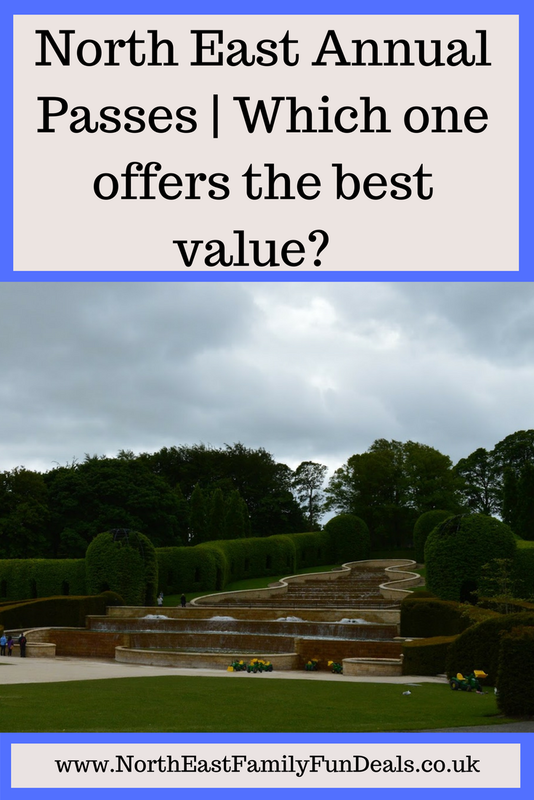 If I had to pick one farm park, Kirkley Hall is the cheapest and over half the price of Adventure Valley. Finally, at almost £300, Diggerland is the most expensive annual pass from my findings and you need to visit four times across the year to get your money back. The only time I'd consider buying this pass is if I lived next door! Did you see last weeks post featuring The National Arts Pass or Museums Associations Pass? They might offer a better option for you. Find out more here. Let me know which Annual Passes you'd recommend. Down at the farm is a good value annual pass. Its also normally availabe on groupon for slightly cheaper. Around £30 a family of 4. You only name 2 people so you can take any other 2 peope which is great. So could just put it in the kids names and then grandparents etc can use it. This post is brilliant! So helpful, it must have taken ages to research. We love our National Trust membership, it’s lovely to always have something to do and great when you’re visiting another area too!